Tea has become a bigger part of my life in the past few months. I've really learned to enjoy it. It's calming, soothing, and there is endless variety. 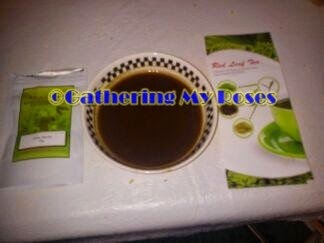 Recently, I was invited to try White Matcha Tea from the Red Leaf Tea Company. Having never tried it before, I wasn't sure what to expect. 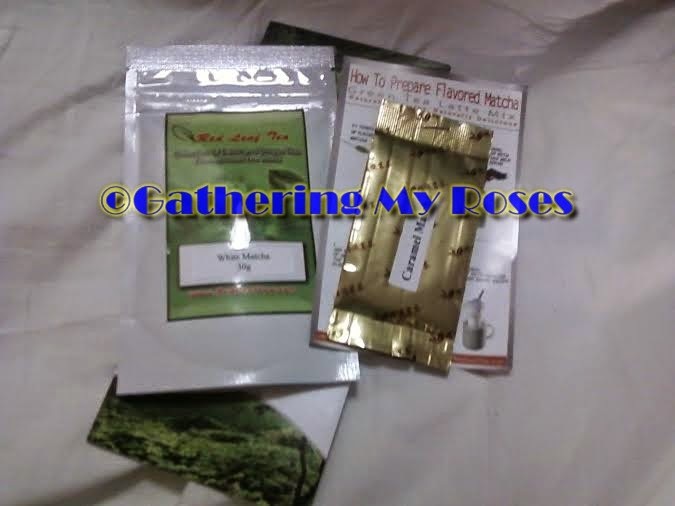 I received a small (30 g) bag of White Matcha and a sample-size of Caramel Matcha Special Blend. WOW. This has to be one of the lightest, smoothest teas I've had so far. It's not exactly 'delicate' but it's very mild. I thought the tea itself would be white in colour, but it isn't. It's a muddy-brown and so is the brewed tea. Very unexpected! As a hot tea, White Matcha's penetrating smell and amazing flavor really come to life. Bring your White Matcha powder to room temperature [18°C (64°F) to 23°C (73°F)], and sift through a strainer. Scoop 1 ½ to 2 rounded teaspoons of sifted White Matcha into a tea bowl or cup Add ¼ to 1/3 cup of hot, simmering water (this may be more or less diluted based on your preference). Briskly whisk your White Matcha. As the Matcha begins to dissolve, move the whisk briskly back and forth as fast as you can in the middle of the bowl or cup. The whisk should be vertical and barely touching the bottom of the bowl or cup. Once your Matcha has developed a soft, light foam, slowly lift the whisk from the center of the bowl or cup. As you can see, the brewed tea is a deep brown. It has a lovely bouquet -- bright, soothing, with a slight perfume. 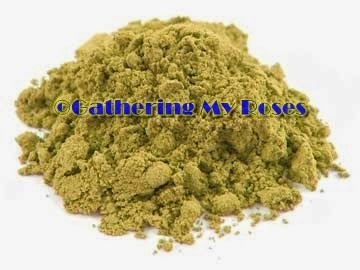 The aroma gives one the sense of a freshly turned garden. The flavour is slightly sweet, malty, with no bitter after-tones. This is a tea I will drink often. White Matcha Tea from Red Leaf Tea Company is high quality. It's priced competitively (Approx. 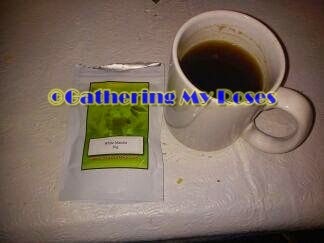 $19.95 for 30g) and offers a fabulous alternative to Green and other teas. Facebook and @RedLeafTea on Twitter. I LOVE Matcha! I just started using it last year. It's full of antioxidants and a great energy booster!